On 29th April 2015, the Welsh government signed into law Well-being of Future Generations (Wales) Act. This holistic legislation aims to improve the economic, social, environmental and cultural well-being of Wales by strengthening institutional governance structures in accordance with Wales’ ‘Sustainable Development Framework.’ The legislation places a duty on public bodies to implement sustainable development by incorporating seven well-being goals into their work, as well as outlines the establishment of a Future Generations Commissioner and provides a range of national indicators which move beyond GDP. The Welsh government has implemented an innovative, beyond-silo approach, to the formulation, implementation and monitoring of sustainable public policy-making, as well as its continued development. This framework is a highly transferable model that regional, national and international governments and institutions can adapt, implement and utilise in securing future-justice for current and future generations. 1st February, 2016, Wales appointed the first Commissioner for Future Generations, Ms Sophie Howe. We have recently published a comprehensive video concerning the importance of a UN High Commissioner for Future Generations, which you may find here. The Well-being of Future Generations (Wales) Act is one of the most holistic pieces of sustainable legislation to be passed worldwide, with the aim of securing future-justice, for the well-being of current and future generations. The Act introduces national indicators that measure the difference being made to well-being with the aim to move beyond GDP. The Act outlines local service boards and well-being plans, as well as simplifying requirements for integrated community planning. These 3 pieces of legislation are to work in a synchronised manner to ensure that all Welsh authorities have the required understanding of what their communities need, the natural resources at their disposal and the local public bodies in place to fulfill Wales’ sustainable development objectives. On 29th April 2015, the Welsh government signed into law the Well-being of Future Generations (Wales) Act. Based on 7 thematic well-being goals, this holistic legislation seeks to integrate the shared vision of ‘The Wales We Want’ within a multi-dimensional framework, aiming to tackle the complex challenge of intergenerational justice via the creation of non-silo, cross-institutional synergies. To do this, the legislation strengthens institutional governance structures in accordance with the ‘Sustainable Development Framework’ by establishing local public bodies that are mandated to improve the economic, social, environmental and cultural well-being of Wales. The Act also establishes a Future Generations Commissioner to act as an ombudsperson for future generations. Due to the independent nature of the role, the Commissioner will operate as a guardian for future-justice, as well as provide ongoing operational support for local public bodies. This support can range from advice, recommendations, and research commissions as well as carrying out reviews. The Commissioner’s role will be supported by an expert advisory panel which includes other Welsh Commissioners, the Chief Medical Officer for Wales, a representative of ‘Natural Resources Wales’ and Welsh business. In order to assess progress, the Act mandates Welsh Ministers to create an ongoing set of new national indicators. These alternative indicators will move beyond GDP towards an ongoing holistic measurement and understanding of Wales’ progression. The creation of the Well-being of Future Generations Act has taken years of formulation, preparation and engagement from a range of stakeholders. This includes grass-roots citizenry inclusion, NGOs, academics, regional government and other civil society actors. In setting this precedent, the Welsh government has implemented a highly progressive and innovative non-silo approach to the formulation, implementation and monitoring, as well as continued development of sustainable public policy-making. It has, in the words of the Act, been designed to make public bodies think more about the long term, work better with people and communities and each other, look to prevent problems and take a more joined up approach. The Well-being of Future Generations (Wales) Act, works in coordination with both the Environment (Wales) Act and Planning (Wales) Act, in promoting the sustainable use, management and development of Welsh natural resources. The Act, under Part 2, ‘Improving Well-Being‘, Section (4), provisions the Welsh government’s public bodies to create the optimal conditions for a – ‘Prosperous Wales: An innovative, productive and low carbon society which recognises the limits of the global environment and therefore uses resources efficiently and proportionately’. The Act also requires the government agency ‘Natural Resources Wales’ (NRW) to report on the country’s natural resources and detail their ability to respond to pressures and adapt to climate change. Other public bodies, including councils, will be under a duty to provide information and help to NRW in drafting this report. The Act under Overview, Part 1, (Section 10), provisions – ‘reports on future trends in the well-being of Wales (section 11), to be published by the Welsh Ministers’, not only allowing for the development and implementation of progressive public policy, but also allows public information and participation throughout the ongoing process towards the aimed objectives of sustainability. The Act under Overview, Section 1, (2), (e), – ‘requires indicators that measure progress towards achieving the well-being goals’, allowing for a greater understanding of Wales’ progress that are restricted by the traditional confines of standard GDP socio-economic ‘growth’ patterns. The Act under Section 3, ‘Future Generations Commissioner’, Part (a), – ‘establishes the office of Future Generations Commissioner for Wales and (b) provides for the Commissioner to promote the needs of future generations by monitoring and reporting on the extent to which the public bodies are setting and seeking to meet their well-being objectives in accordance with the sustainable development principle’, as well as, ‘Part (c) which provides for the Commissioner to carry out reviews of public bodies. d) establishes a panel of advisers to the Commissioner,’. The Act under Section 3,’Future Generations Commissioner, Part (b), – ‘provides for the Commissioner to promote the needs of future generations by monitoring and reporting on the extent to which the public bodies are setting and seeking to meet their well-being objectives in accordance with the sustainable development principle (section 18),’. This is further supported by Section 3, ‘Future Generations Commissioner, Part (c), – ‘provides for the Commissioner to carry out reviews of public bodies (section 20)’ enabling the Commissioner to act as an ombudsperson for the well-being of current and future generations. One of the major principles of the Act under Part 2, ‘Improving Well-Being‘, Section (4), is the vision of – ‘A globally responsible Wales: A nation which, when doing anything to improve the economic, social, environmental and cultural well-being of Wales, takes account of whether doing such a thing may make a positive contribution to global well-being,’ fundamentally demonstrating the holistic nature of the legislation. Establishing a Commissioner for Future Generations with a mandate to speak up for those without a voice today recognises that present generations have certain obligations to those who will have to deal with the consequences of the decisions taken. The development of the Well-being of Future Generations (Wales) Act has been part of a long, ongoing series of processes and multi-level consultations, which have drawn on years of previous experience as well as new proposals, with the aim of bringing sustainable development to the core of Wale’s public policy-making. Following these findings, in 2009, the Welsh government initiated the national scheme ‘One Wales: One Planet’, to continue, via the creation of an annual report, the adoption of a new vision for the progression of Wales’ commitment to sustainable development. In the spring of 2011, the UK’s Sustainable Development Commission (SDC) closed following the decision by the UK government to withdraw its funding. In response, the Welsh Minister for the Environment, Sustainability and Housing announced the appointment of a new Commissioner for Sustainable Futures: ‘This appointment reflects how seriously we take our duty to Sustainable Development, and is proof of our commitment to do all we can to make Wales a truly sustainable nation.’ (Ms Jane Davidson, Welsh Minister for the Environment, Sustainability and Housing , March 2011). 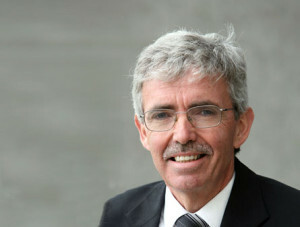 Peter Davies (formerly the (SDC) Wales Commissioner) began his new role as Commissioner for Wales’ Sustainable Futures. In his role as Commissioner, Peter Davies played an integral role of moving forward Wales’ sustainable development agenda and began a series of national consultations and conversations towards the drafting of a new ‘Sustainable Development Bill’, that would supersede the Wales Act (2006), towards the creation of a greater integrated, more holistic approach to Wales’ sustainable development legislation. In 2012, the Welsh government began consulting on the Sustainable Development Bill – White Paper – Better Choices for a Better Future. The White Paper sets out the Welsh government’s proposals to introduce legislation to make sustainable development the central organising principle of the government and public service organisations in Wales and to create an independent sustainable development body for Wales. As a result of this White Paper, on 18 February 2014, the ‘Wales We Want’ conversation was initiated as a pilot exercise by the Welsh government. The primary purpose of this exercise was to continue, via the conclusion of a year-long set of conversations with individuals, groups, organisations and communities across Wales, the development of the Sustainable Development bill, now given the working title of the Well-being of Future Generations (Wales) Bill. Discussions focused on a variety of intergenerational challenges including climate change, poverty, an ageing population and health inequalities, and the opportunities available that require collaborative approaches and integrated solutions translated at an individual and community level. The conversation has contributed to the shaping of the Bill and provides important lessons for implementation of the proposed legislation. The ‘national conversation’ engaged nearly 7000 people across Wales through their local communities and groups (in addition to contributions via social media, postcards and online) and tested different approaches to engage the Welsh people. A key feature in the formulation of the Wales Well-being bill was the recruitment of ‘Future Champions’ whose role has been to take the conversation forward, becoming advocates for future generations and raising the issues affecting their groups, communities, and organisations. The local Health Board of the local authority. The Welsh Fire and Rescue authority of the local authority. The Natural Resources body for Wales. In addition, each PSB must ]invite Welsh Ministers, Probation Services, Civil Society and the Police as ‘invited participants’ to help achieve these goals. Once created, each PSB must publish a document setting out its objectives in a ‘Local Well-being Plan.’ Every year a mandatory annual review of the plan and the progress made will help ensure that not only gains are made towards meeting the objectives at the local level, but also that the wider vision of the Well-being goals is fulfilled. To strengthen these assessments the Act under = Part 2, Section 3, The Future Generations Commissioner For Wales – establishes a ‘Future Generations Commissioner’, who will operate as an ombudsperson in order to safeguard the interests of future generations, as well as support the public bodies. This support can range from advice, recommendations, and research commissions as well as carrying out reviews. Their role as a guardian for future generations will be supported by an expert advisory panel which includes other Wales Commissioners, the Chief Medical Officer for Wales, a representative of Natural Resources Wales and Welsh business. May be measured in relation to Wales or any part of Wales. The Act under – Part 2, Section 10, ‘National indicators and annual well-being report’, (10) – enables Ministers to review and amend indicators and at the start of each financial year they must publish an annual progress ‘Future Trends Report’ outlining progress made. Also, under – Part 2, Section 11,’Future trends report’ (1) – 12 months ahead of the general election, Welsh Ministers must publish a similar Future trends report that contains— (a) ‘predictions of likely future trends in the economic, social, environmental and cultural well-being of Wales’, and (b) ‘any related analytical data and information that the Welsh Ministers consider appropriate.’ Producing the report during this period allows the Welsh public greater transparency in making informed decisions when voting, as well as greater accountability of the PSBs. The long-term impact of this innovative piece of legislation is yet to be realised, with full implementation of the policy being enacted in 2016. Certainly, the Well-being for Future Generations Act has the potential to fulfil these criteria. By implementing this innovative, beyond-silo approach to the formulation, implementation and monitoring of sustainable public policy-making, as well as its continued development, already, the Well-being of Future Generations Act is prompting interest from other states, potentially expediting the transition towards a sustainable world for present and future generations. The Welsh Act (2015), while highly unique – due to its holistic national framework of sustainable development – draws upon a range of features that have been implemented by other national governments For example, an ombudsperson, or Commissioner for Future Generations are familiar in a number of other countries including Hungary, New Zealand and Israel. Hungary had four such ombudspersons and their competencies for intervention varied significantly. The Parliamentary Commissioner for Future Generations had comparatively strong powers and could stop on-going activities causing severe harm to the environment or intervene in on-going administrative and court procedures. In 2011, these 4 positions were amalgamated into one position entitled the Office of the Commissioner for Fundamental Rights. In New Zealand, the role of New Zealand’s Parliamentary Commissioner for the Environment was created by the Environment Act of 1986 and was part of wide ranging environmental reforms of the period. The Commissioner is an independent Officer of Parliament – a standing shared by the Auditor General and the Ombudsman and is focused on providing advice to Parliament as a whole and to the public. The functions of the role are broadly defined. Indeed the Environment Act allows for the Commissioner to investigate ‘any matter in respect of which, in the Commissioner’s opinion, the environment may be or has been adversely affected.’ The Commissioner also submits on proposed legislation that affects the environment. Commission for Future Generations (Disbanded Institution). In Israel, in March 2001, the Knesset – Israel’s parliament – established a Commission for Future Generations, an inter-parliamentary body to audit legislation on the impacts for coming generations. Specific focus on the creation of a dimension of the future that would be included in the primary and secondary legislation of the State of Israel, the Commission operated with a five year mandate to defend the needs and the rights of future generations. One of the first steps in establishing the Commission for Future Generations was the need to define which policy areas were ‘of particular interest to future generations,’ as this was the wording of the law. Even though the Commission’s initiators were apparently not familiar with the concept of sustainability, it ended up with twelve policy areas that matched the principle components of sustainability. The Commission effectively had informal veto power over lawmaking, similar to the impact of a filibuster in the US Congress. The Israeli Commission for Future Generations was a significant initiative, the first explicit representation of future generations within government. Commissioner Shlomo Shoham 2001–2006 took a systemic and integrated approach in his opinions and challenged business as usual. However, when Shoham’s term ended, no new Commissioner was appointed, often cited as due to the power the Commissioner’s veto had in blocking the passing of legislation which didn’t comply with the interest of future generations. For more information on these institutions and others please click here for the WFC report ‘Guarding our Future’, as well as our Future Justice website. The Roundtable of Institutions for a Sustainable Future is a network of independent institutions all dedicated towards the protection of the interests of future generations, for more information, please click here. Other notable features of the Wales Act are the national indicators which will measure the progress of the implementation of the legislation which move beyond the traditional indicator of GDP. Consequently, the legislation is highly transferable, which can, through a willingness by other states to engage cross-sectional levels of society, government and NGOs, create through a cross-silo approach, a holistic methodological framework towards the realisation of sustainability for the well-being of current and future generations. Further information on safeguarding the rights of future generations including publications, a literature collection and guest contributions can be viewed on our Future Justice website.